calling all california girls heres a project thats easy on the wallet and stylish on the head ! Once again I have found inspiration in Katy Perry’s unique and wonderfully quirky fashion. I wanted to feel like a California girl and set to work on a fun customisation project. Not only will it keep you warm and toasty for the winter it’s a delicious fashion statement. So sink your teeth into this all you Katy cats and get crafting! 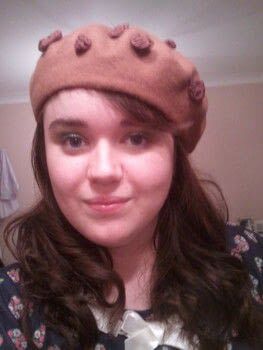 It’s perfect for a costume and general use and Im sure it would make a lovely christmas present for the Perry fan in the family. Let me know what you think guys. 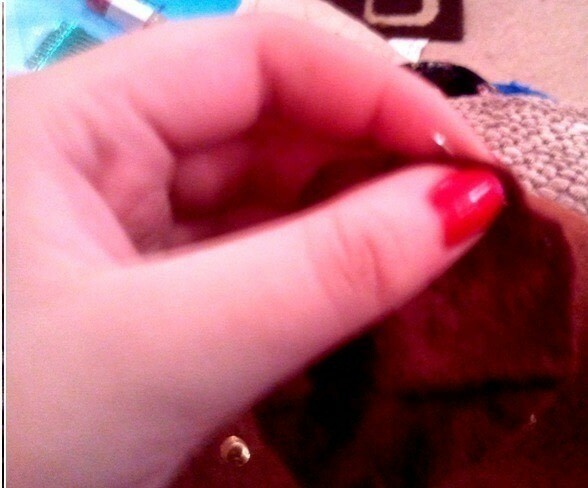 First take your felt, using round objects of varying size as a guide line. Use a white pencil to trace the line. Then cut them out. These will act as the "chips " you will need around 10- 15 brown felt circles. 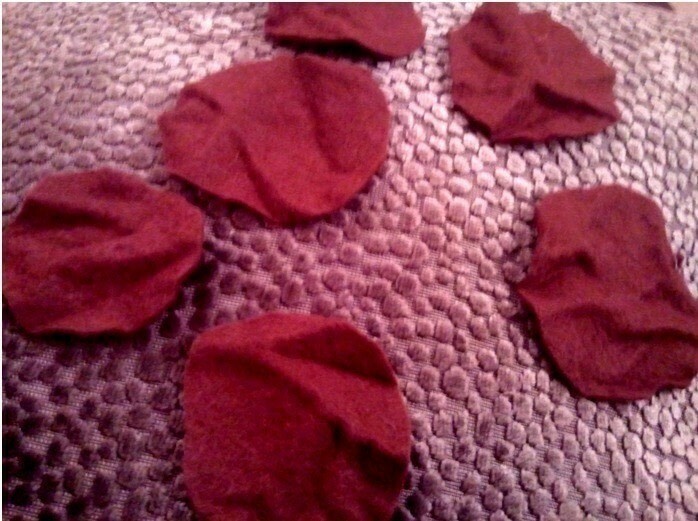 To get the 3D chips, we turn the circles into suffolk puffs Or fabric yo yo's as Ive heard others refer to them. 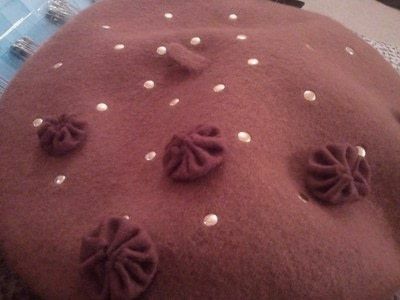 If you have never made suffolk puffs, they are a made up of a single running stitch around the edge of a fabric circle then pull the stitch to gather the fabric into the cream puff like shape. They can take practise. 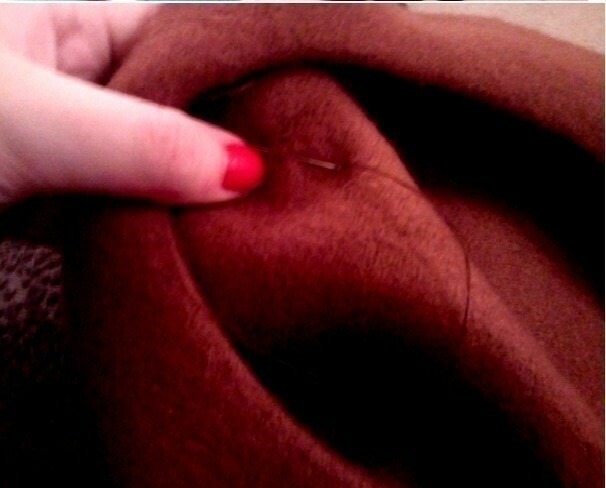 when you have your chips prepared, you can stitch them to your beret. 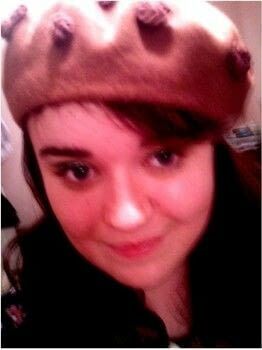 I suggest a felt beret which isnt too thick. Or a slouchy wool beret would do just fine. A good strong stitch to hold them inplace (try avoid using glue, as felt is absorbent and is more difficult to glue and stains easily). 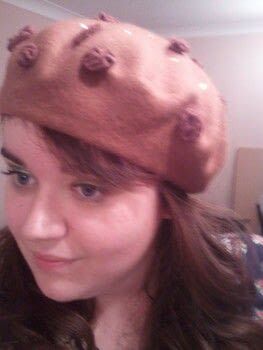 Looks very good on you And it's soooooooooooo cute! This is so cute, ever since i saw that video i've been waiting for someone to make one! 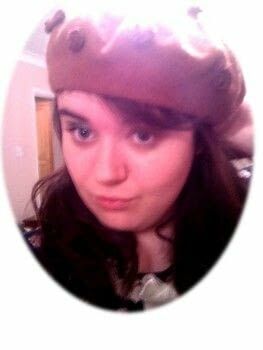 I'd make one, but i look really stupid with berets on lol!